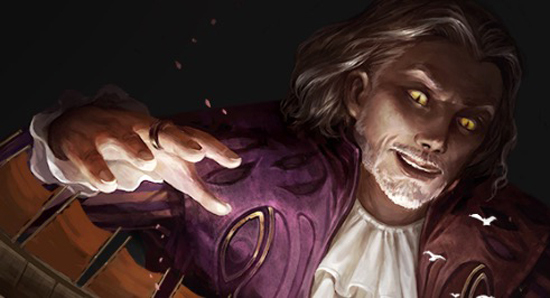 Next week, Sheogorath - The Elder Scrolls’ legendary Daedric Prince of Madness - will take control of The Elder Scrolls: Legends and plunge the game into chaos with a limited time special event that shakes the foundation of PvP Arena to its core. Beginning December 14, players will find a new alternate PVP Arena mode – Chaos Arena – where random and surprising special lane rules and scenarios will take affect and challenge players to develop new and emerging strategies on the fly. Chaos Arena is an new optional mode for PvP that will randomly introduce one or more special scenarios or lane rules to each match. Some of the special Scenarios include starting the game with extra Magicka; beginning the game with cards already in the lanes; having the players swap entire decks at the beginning of the game; and much more. Lane rules changes include attaching random items to cards played in a lane; effects like Windy lanes, where cards change lanes randomly throughout the game; receiving buffs and bonuses by casting cards in a certain lane; and much more. Previously special lane conditions and scenarios were only available in PvE matches. In conjunction with Chaos Arena, a new set of special cards – the Madhouse Collection – will be released, providing a fresh set of strategic options for players. Purchasing the Madhouse Collection will earn players three copies of each card as well as an Arena Ticket so players can try Chaos Arena right away. 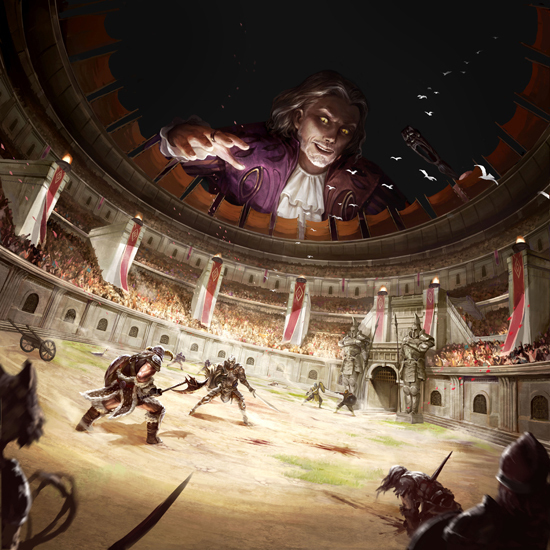 The Madhouse Collection cards will be immediately added to all Arena modes, including Sheogorath’s bizarre Chaos Arena. These cards will be available for purchase either with in-game gold or for money through the store beginning December 15. Chaos Arena will begin December 14 and end on December 19. A full description of the Lane Rules and Scenarios can be found online at https://bethesda.net/en/article/3gWVVYQtewOU6OoOQIAy44/the-elder-scrolls-legends-enter-the-chaos-arena. A full description of the Madhouse Collection can be found online at https://bethesda.net/en/article/4zRk2kzGnuWkKI8eQqW6I6/the-elder-scrolls-legends-introducing-the-madhouse-collection. The Elder Scrolls: Legends is the first free-to-play strategy card game based on the award-winning Elder Scrolls series and features innovative and strategic two lane gameplay, an epic single player campaign, and several multiplayer modes versus AI or live opponents. Both card game players and Elder Scrolls fans will find accessible gameplay for beginners as well as the strategic depth to keep expert players engaged. The Elder Scrolls: Legends is currently available in Open Beta on PC and is expected to release for PC, Mac, and iOS and Android Tablets in the future. The game is also in development for iOS and Android Phones. For the latest updates on The Elder Scrolls: Legends, please visit https://legends.bethesda.net. To download and install The Elder Scrolls: Legends PC Open Beta, please download the Bethesda.net Launcher at the following link: http://download.cdp.bethesda.net/BethesdaNetLauncher_Setup.exe.